Some of Our Rescues Who Have Found Forever Homes!! Buddy is about 2 years old and has Metabolic Bone Disease. His front and back legs do not work properly but he is able to scoot around. He is super sweet and craves attention. Would be great for regular handling! 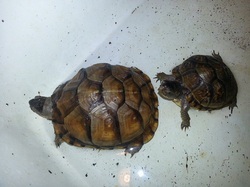 These 2 box turtles came in together The larger one had a pretty bad infection/wound on the front left leg as they were not being housed properly. They are now healthy and ready to be adopted together or separately! Mo is a male leopard gecko. 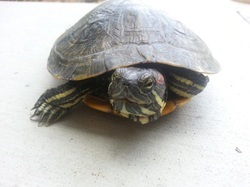 He is about 1-year old and very small for his age. Mo was never given calcium for the first 9 months of his life causing his bones to be weak and develop improperly. As a result his arms are malformed causing him to walk in a strange manner. He eats on his own but often needs help shedding his feet. 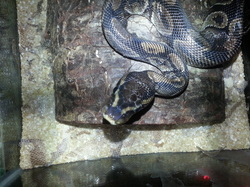 3.5 ft Ball Python. Brought to us from a shelter in bad shape. Healthy and ready for adoption! 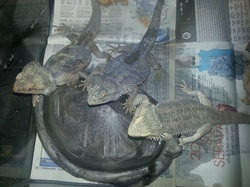 These 3 Adult Bearded Dragons came to us in one of the dirtiest enclosures we have seen. They are being monitored and tested accoridingly. So far everyone is eating and they seem to be doing good. More info to follow as it becomes available. 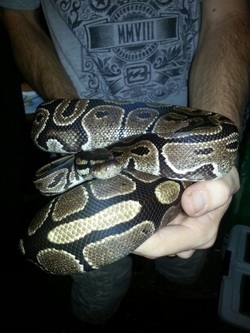 Snakey is an overall friendly ball python. His age is unknown but he appears young still. His owner was scared of him and relinquished him to us. Special Needs: Timmy is about 6 months old and unable to walk. He was born this way and therefore knows no other way. He doesn't walk, he scoots around! He is one of the happiest and healthiest rescues we have...but like I said he just doesn't get around to quick or easy! Looking for an attentive and loving forever home! Joey came to us with some pretty major wounds. He had been attacked and bitten badly by a dog and taken to a shelter where it was decided he was going to be euthanized. Luckily someone got him out of the shelter and to BCRR where he is now thriving and ready for his new forever home! Captain Hook came to us with a fishing hook stuck in her mouth. 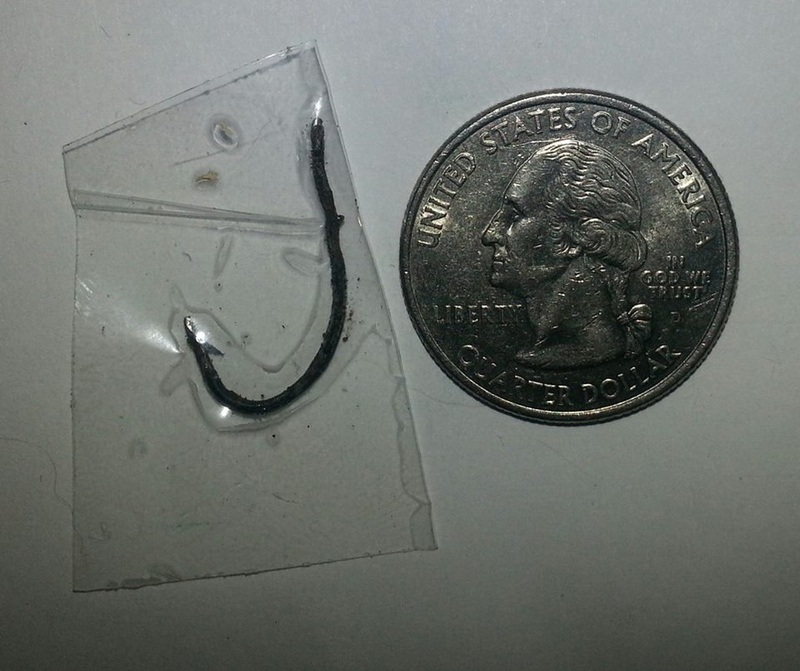 We were able to remove the hook and rehab her. She is now thriving and ready for her new forever loving home! 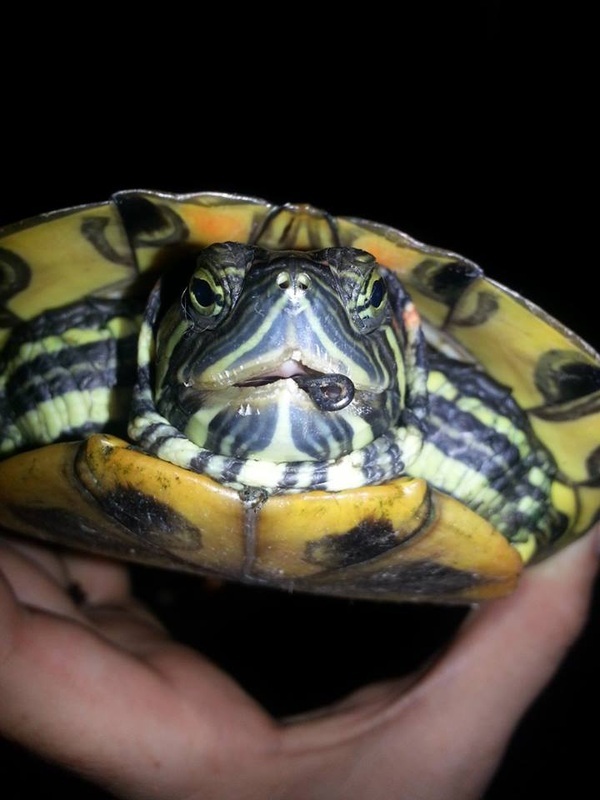 We prefer to find her a home with a pond! Leonard was relinquished to us with the previous owners stating he was mean and aggressive. This is not however the case, he is friendly as can be! Leonard is now looking for his forever loving home! 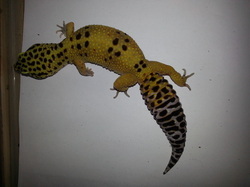 *A few leopard geckos are available for adoption in addition to Leonard! LG is a sweet 5-6 year old leopard gecko. She is in perfect health. Her owner was no longer able to care for her or BG due to severe physical limitations. Widow is a female Tokay Gecko and is approximately 4 years old. She is in good health. Her previous owner was no longer able to care for her, LG or BG due to severe physical limitations. She is not for those with little or no experience. She is a barker! Zandt was relinquished to us in pretty bad shape. He is 5.5 years old and quite small for his age. He is a sweet boy with a good temperament. He is currently in foster care being fattened up and properly cared for while his wounds heal. Zandt is looking for his forever loving home! Bitsy is still young and rather small. However for being so small, Bitsy sure has a loud croak! Bitsy was given to us by an owner who no longer wanted to care for him or her. This little guy is about 5-6 inches or so. 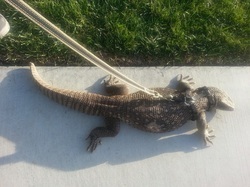 He was found crossing the road and was almost hit. He had been out for sometime as his nails are a bit worn down. He is very friendly and in good health and will be ready for his new home soon!! 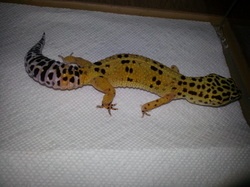 BG is a sweet 5-6 year old leopard gecko. She is in perfect health. Her owner was no longer able to care for her or LG due to severe physical limitations. 3 Anoles available. Not for handling, but for looking! Owner no longer wanted them. This little lady has had a rough life and has obviously never been really properly cared for. She is the sweetest thing and loves being held and pet. She currently has an eye infection and parasites, both of which are currently being treated. She is now in her forever loving home where she will be snuggled and properly cared for. This guy has had it pretty rough. He has a case of pretty severe MBD and he had parasites as well which he was treated for. This little guy is 4 years old and small for his age to say the least! He was mostly fed lettuce from what we were told. We will be keeping an eye on him and then looking for his forever loving home! Lucy is a sweet female leopard gecko who is nearly 100% blind. Her previous owner denied her water, over powered her with lights (the equivalent of staring directly at the sun all day) and barely fed her. She now loves her water! She eats well but must always be hand fed.